I did a song yesterday on Winnipeg, so let’s call this a theme week and do songs about Canadian cities. 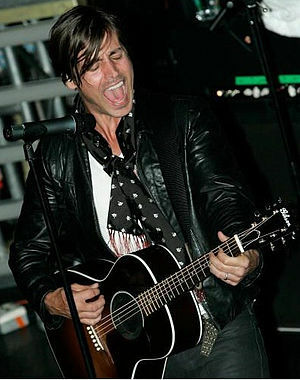 Today is a new song from the front man of Our Lady Peace, a very good Canadian group. He is married to a Winnipeger (nice segue from yesterday’s tune), Chantal Kreviazuk. Chantal is a formidable artist in her own right. This tune “Montreal” is a recently released single and is off his solo album, new this year, “We All Get Lighter”. This entry was posted in Canada, Canadian Music, Music, Rock, Song Of The Day and tagged Chantal Kreviazuk, Montreal, Music, Our Lady Peace, Raine Maida, Song Of The Day. Bookmark the permalink. And then head south to finish up with The Oakridge Boys!